BeamMaster 3D is a complex lisp routine that draws any size W-shape you pick from the DansMark main menu system. Optional 2D or 3D. Draws flat and/or sloped beams (Main menu included). 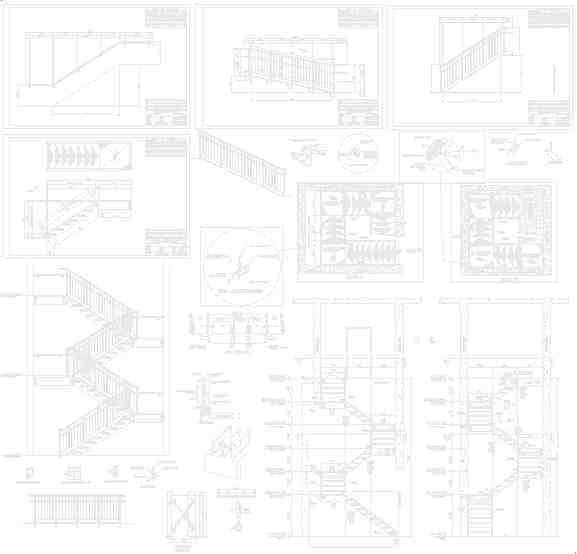 Draws elevation, plan and/or shop drawings of beams with all connections, clips, copes, and elevations labeled and dimensioned. With adjustable bolt, clip, and inner/outer connecting beam gauges. Draw one beam at a time, or draw hundreds automaticly. BeamMaster 3D interfaces with GridMaster 3D, and ColumnMaster 3D, to detail beams automaticly. AutoCope is used to insure coping is done correctly. Elevation, plan, & shop drawings.